With a busy lifestyle, there may be nothing more frustrating than a broken-down appliance, especially a washing machine. If your Samsung top-load washer has been excessively noisy, like static, or if the power simply is not working it could be the noise filter. The machine’s power goes through the noise filter and then out to the control board. Before beginning any appliance repair, or diagnostic, remove the plug from the power source. When working on a washing machine, you’ll also need to remember to turn off the water. Dislodge the hoses and move the machine to gain access to the back. Remove the console cover by removing the screws and gently prying off the cover. You may need to use a flathead screwdriver to wedge between the console and cover. Then remove the two screws holding the console on, and roll the console forward onto the top of the washing machine. The noise filter is covered by a rounded plastic cap to your right as you face the back of the machine. Remove the plastic cap covering the noise filter using a flathead screwdriver to press in on the tabs on each side and then slide the cover up and off. Unplug the first connection where power enters the noise filter. Check to make sure you have 120 volts going into the noise filter. If that checks out, then also check to make sure you have 120 volts going out, as well. If there is no power going out, the fix most likely is to replace the filter. Gently grasp the noise filter being careful not to touch the terminals, and twist counter-clockwise removing it from the unit. Assure you have the proper replacement noise filter, slide it in place, and screw it in, clockwise. Again, refrain from touching the terminals. Make sure the terminals match up with the proper connections to plug them back incorrectly. Plug them in and replace the plastic cover, while collecting the wiring underneath, and lock it into place. Reattach the console assuring that all tabs are in their designated places while rolling it back and replacing the screws. Then follow up with replacing the console cover and screwing into place. Reattach the hoses, turn on the water and plug in the machine. You should be good to go. Some repairs of appliances are easier than others. If you have any doubts, please call or fill out your contact information on the Appliance Repair Specialist website. Appliance Repair Specialists serve the entire Los Angeles area from Culver City to Sherman Oaks to Pasadena and beyond. 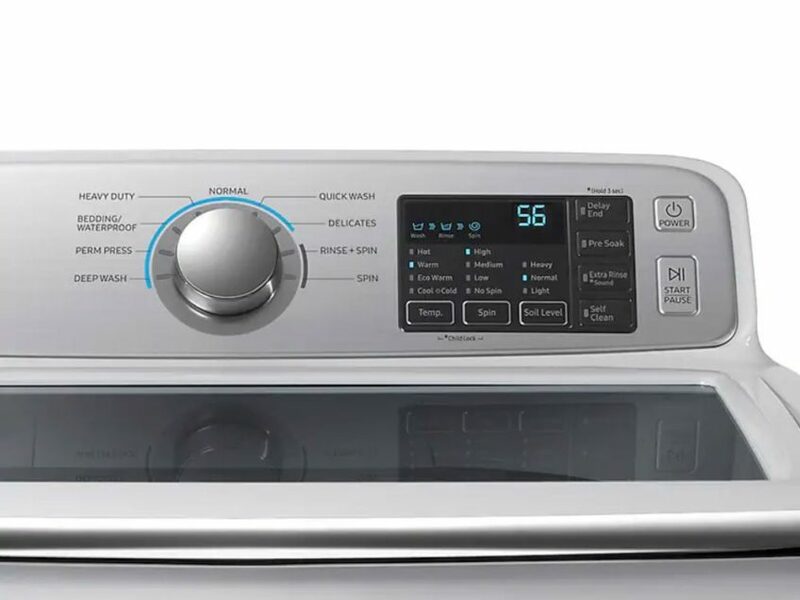 If you are having appliance issues be sure to contact us to arrange a service call at your convenience.